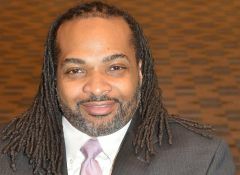 Philadelphia, PA (February 28, 2019) – Inglis is pleased to announce that Charles W. Horton, Jr. will join the 140+ year old disability services organization as Senior Director, Advocacy and Inclusion in March. In this new position, Horton will play an integral role in developing and implementing advocacy strategies at the local, state and national levels, and in building partnerships with other organizations to advance Inglis’ strategic mission of enabling people with disabilities to achieve their goals and live life to the fullest. “With more than 25 years of experience working within the disability community, Charles has an extensive track record connecting people with disabilities to organizations, governmental services, and other opportunities,” said Inglis President & CEO, Dyann Roth. “As Inglis expands existing and establishes new programs supporting people with disabilities living in the community, Charles will be an excellent addition to our team,” said Roth. Currently, Horton serves the City of Philadelphia as the Executive Director of the Mayor’s Commission on People with Disabilities. Since he began in that role in 2006, Horton has served and advised three Mayors and administrations about projects and services relating to the needs of people with disabilities; promoted self-advocacy and independence for people with disabilities; supported the City to meet the needs of the Americans with Disabilities Act; and developed workshops, community outreach, and public awareness programs. “I have a long history with Inglis,” said Horton, “because I grew up nearby…in the West Philadelphia area so I've seen individuals who have been supported by Inglis for pretty much all my life. And I have seen the progression that has gone on and how people now have more ability to be part of their community and have access to different opportunities,” he said. Additionally, since 2007, Horton has been a member of the Inglis Consumer Advisory Committee (ICAC) – a committee which helps to create strategies to promote independent living for those who want it, and to remove barriers in the community for people with disabilities. “For many years, I have served as a member of ICAC and assisted with many projects and endeavors,” he said. “And I have seen that Inglis is part of the solution – with housing and independent living, with adapted technology being so important, with Inglis House – people with disabilities should live their lives as they choose and have the ability to have a high quality of life,” explained Horton. Inglis Board Chair, James G. Logue, said “We are very excited to have Charles work with us to strengthen existing programs and develop new relationships furthering Inglis’ commitment to people with disabilities wherever they live,” said, Logue. “The whole Inglis Community will be able to benefit from Charles’ professional and personal experiences,” said Inglis Board member, Won Shin, who previously served as the Executive Director of the Mayor’s Commission on People with Disabilities. “As a wheelchair user himself, Charles understands these issues at his core and sees solutions in the community partnerships and connections he has forged during his career,” Shin said.